The Arab Spring has had a devastating effect on the society and economy of the countries that previously suffered from dictatorship. Following the overthrow of their respective governments, Libya, Egypt, Tunisia and Yemen (“the Arab Spring Countries”) are now in a transitional period moving towards a democratic regime. They have not suffered the devastation that Syria is currently experiencing, however the rapid changes in their regimes have had a tremendous effect on their social and economic landscape. The Arab Spring Countries will undergo a number of long term legal changes, beginning with the constitution. The new regimes will introduce a modern constitution which will be followed by legislation that will affect the countries’ civil and commercial activities. Despite the initial political and social difficulties experienced by the Arab Spring Countries, the legislative changes are likely to have a positive impact on them in the long term. New constitutions will benefit them commercially, socially and economically. The changes will encourage foreign investment and relax monetary regulation in countries with semi-social systems. It is likely that there will be an introduction of modern investment law to regulate the financial market and encourage foreign investment. We have already seen huge changes in the freedom of speech and freedom of media regulations and further deregulations, and transparency will assist in the enforcement of the law. There is already a focus on the independence of the judicial systems and improvement of the judicial processes in the Arab Spring Countries. Some countries have suffered from a lack of judicial independence and poor training of the judiciary. The process to improve the quality, performance and process of the judicial system has begun and will be ongoing. There is a need for local training as well as training in association with recognised independent and international organisations. Countries have recognised that the improvement of the legislative system cannot be sustained unless it goes side by side with the improvement of the judicial system. 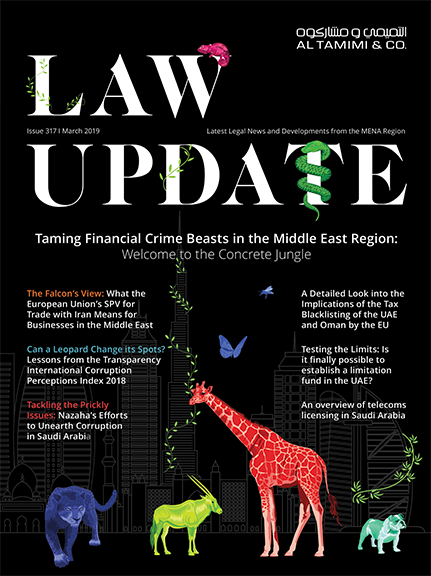 Despite the setbacks and disappointment resulting from steps taken by the governments during the initial revolutionary period, which led to a number of major investment arbitration cases and law suits, these countries will still benefit from legal reforms. Investment disputes have arisen due to breach of government obligations or non-adherence to previous contractual relationships. It is likely that most of the investment disputes will be settled amicably and those which don’t will serve as a lesson for the future to ensure that similar disputes do not occur again. Despite the lack of liquidity that these countries are currently facing, the foreign investment and financial stability will improve the countries in the long term. The Arab Spring Countries enjoy national wealth which can easily increase if stirred in the right direction. I expect that billions of dollars will be injected into these countries by the Gulf States and the international community, which will create jobs and kick-off infrastructure projects helping to stablise the countries socially. The foreign investment will benefit businesses in the short and long term and they will be supported regionally and internationally. As business in these countries increases and projects commence, and once the legal changes have taken place including a new constitution, elections, parliament and regulations, the legal community will have more opportunities to serve the states and assist with local and foreign investments. I expect to see a boom in infrastructure agreements, concessions, M&As, agencies and setting up as well as need for legal assistance in developing the financial system. The need for regional and international legal talent will increase and it is likely that these countries will attract this legal talent to advise local government as well as international investors. It is a fact that most countries that experience a revolution need investment growth and development in almost every sector. The national wealth these countries enjoy, combined with the injection of foreign investment needed to stabilise them, will result in these countries experiencing a boom. Legal support and assistance has a vital role to play in facilitating this. Marriage Contracts in the UAE: To Prenup or not to Prenup? Joint Bank Accounts: What’s Mine is Yours and What’s Yours is Mine?